Heavenly Goat Brewing Company is a Scratch Kitchen & Brewery Located In The Mishawaka/Granger/South Bend Area. Come Experience Old World Style With New World Spirit. Our Mission is to take our guests on travels across the world, while never leaving their backyard, to educate consumers about what they're putting into their bodies, and to be able to feel good knowing we use only the highest quality of ingredients. We use organic, non-GMO, antibiotic free meat. We perform our butchering and create from-scratch hams, bacon, sausage and more. Our produce is sourced as locally as we can find. Our bread is made fresh daily. We make our dressings, sauces, and stocks in house. If we're serving it to you—we've made it from scratch. Our goal is to treat you with fresh, scratch-cooking that we're 100% proud of. We want you to be as happy to eat our food, as we are to make it for you. After brewing his first batch of beer in 2006, the bug bit and the rabbit-hole swallowed Joel. Always after the pursuit of knowledge Joel wanted to know what makes beer different, and the various ways to make it better. Studying at The Siebel Institute of Technology in Chicago, Joel was able to learn from some of the brightest brewers, microbiologists, and successful brewery owners. Part of his coursework included traveling to Munich, Germany where he studied at Doemens Academy. Learning the proper processes of creating Weissbier, Lagers, and Reinheitsgebot, the German Purity Law. After several years of planning, testing, and planning, Joel was ready to create Heavenly Goat Brewing Company. Heavenly Goat found a home in Heritage Square in Granger, Indiana. Heavenly Goat Brewing Company Opened it's doors to the public April 10th, 2017. Joel focuses on creating traditional beer with a dash of New World Spirit. Searching high and low to find new ingredients that meet his standards. Wild yeasts are harvested from fruit orchards, water profiles are custom-tailored to suit the style of beer he's making. As much as brewing beer is an art, people tend to look past the science aspects—something Joel wants to change. 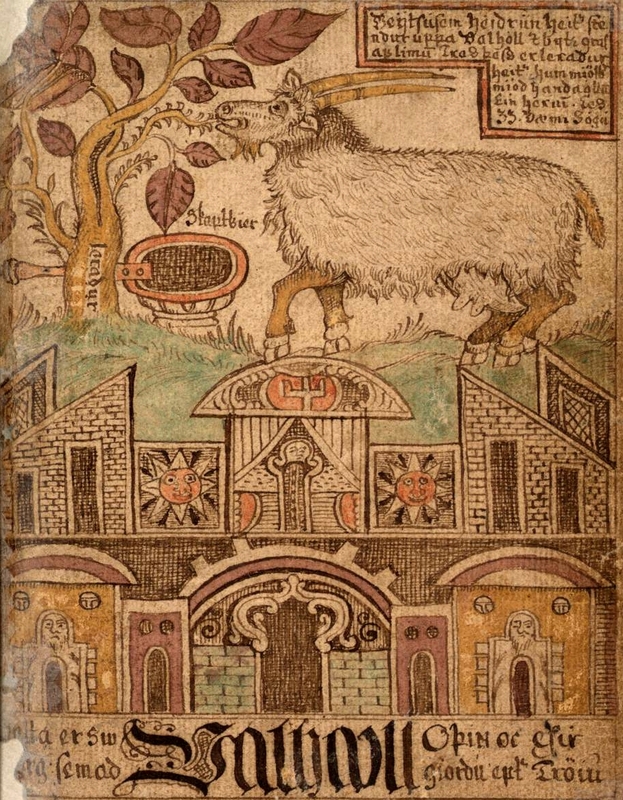 The 'Heavenly Goat' origin story takes place in Valhalla of Norse Mythology. Heiðrún the Goat, stands on it's hind legs biting the buds that grow on the 'Tree of Life'. From her teats runs the mead that fills a cauldron so large that all of the Nordic Warriors that have fallen, and are carried to Valhalla on the wings of the valkyries are able to drink. Valhalla is represented by a large hall, similar to our spacious restaurant. The mead can be represented by our hand-crafted beer, and the warriors represent our patrons...souls looking for a place to rejuvenate from the struggles and joys life can bring. Join us at The Heavenly Goat, to take respite in your battles, to replenish your spirit with great beer and food and Heavenly company.